featuring I.P.A. award winners the Dujka Brothers! See below for all of the details! On behalf of the International Polka Association Board of Trustees and Hall of Fame Committee, the IPA Officers and Directors are proud to announce the 2019 Hall of Fame Inductees as well as the 2018 music award winners. The IPA Hall of Fame and Awards Banquet will be held on Saturday, August 31st, 2019 at the Millennium Hotel in Buffalo, New York. Congratulations to all award winners and inductees! Prominent living personalities and at least one deceased celebrity, who have made outstanding contributions toward the advancement of the polka music industry, are elected into the Polka Music Hall of Fame each year. An academy of 180 qualified electors from across the country select the Hall of Fame inductees and music awards recipients. The Board of Trustees also selects at least one outstanding candidate for induction into the “Pioneer" category. 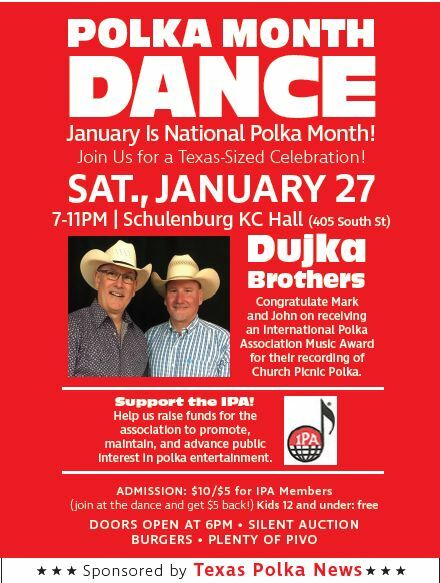 International Polka Association shared a post. Mark Trzepacz added a new photo to International Polka Association's timeline. Our seventh calendar raffle drawing was held on Saturday April 13,2019. Thank you to IPA Member, Jerry Kender, for pulling all these winners. Checks will be mailed in the next few days and the raffle stubs will be put back in the raffle barrel for the next drawing. Poland is ready to help rebuild Notre Dame Cathedral in Paris after the iconic edifice was ravaged by a blaze, the Polish prime minister declared on Tuesday.